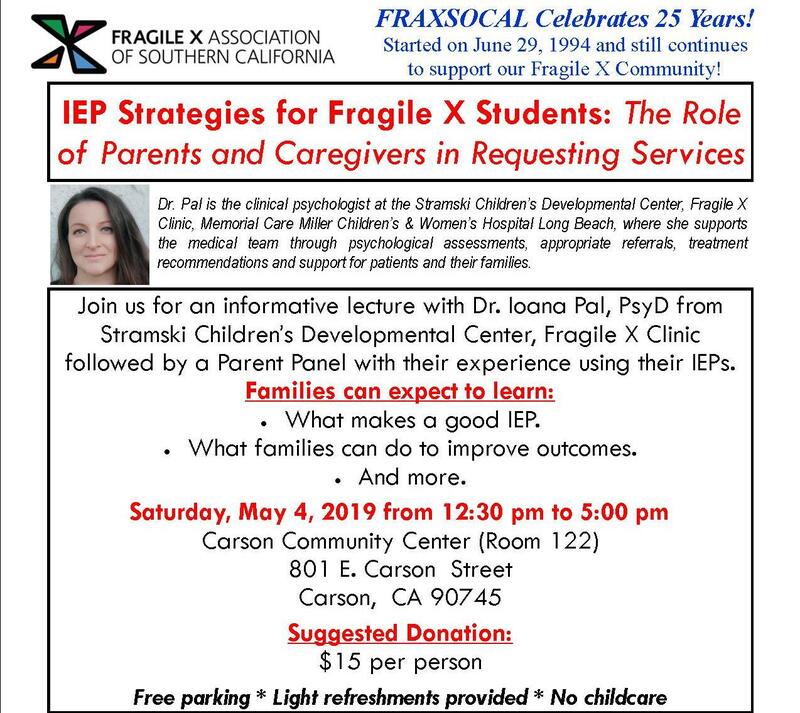 Join us for an informative lecture with Dr. Ioana Pal, PsyD fromStramski Children’s Developmental Center, Fragile X Clinicfollowed by a Parent Panel. Dr. Pal is the clinical psychologist at the Stramski Children’s Developmental Center, Fragile X Clinic, Memorial Care Miller Children’s & Women’s Hospital Long Beach, where she supportsthe medical team through psychological assessments, appropriate referrals, treatment recommendations and support for patients and their families.  What makes a good IEP.  What families can do to improve outcomes.